A life without any specific goal is simply meaningless so it is extremely important for every individual to set some specific goals for his/her life and then strive hard towards achieving those goals. If you don’t have a specific aim in life, you would become a traveler who doesn’t even knows about the destination. Just take a look around you, you will certainly find thousands of people around you who are living an aimless life and will spend their whole life without doing anything special. One of the most important aims to set in a life is about the profession you want to join. Like becoming a doctor and serving the mankind is my ultimate objective in life. The reason behind choosing this profession is not only my own preference but also the positive reputation and respect of this noble profession as a doctor is often refereed as the second God in various parts of the world. Everyone should keep in mind the points of personal preference and acceptance of that profession in society while setting a aim because without having a proper balance between these two things, your aim won’t be a perfect one and you may never to able to achieve it or live satisfactorily even after fulfilling your dream. As far as my personal aim in life to become a doctor is concerned, I have plenty of reasons behind it to justify my choice. First and the most important one is my dream to do something beneficiary for people around me. By becoming a doctor, I will not only be able to fulfill my personal needs related to earning but will also be able to help other humans by curing various diseases and increasing their chances for living a healthier and longer life. Another important reason behind becoming a doctor is to try giving something back to my country which has provided me so many things during my life. The health standards in the Pakistan are extremely poor at the moment so I want to make as much contribution as possible towards the improvement of these standards. The medical facilities like laboratories, hospitals and doctors are not enough when compared against the continuously increasing population of the country. I know that all these problems cannot be resolved over night but I will struggle hard for it and input my whole efforts with honesty without hoping for any profitable returns from it for myself. I will serve other people as much as possible and it will surely bring peace and satisfaction in my life. 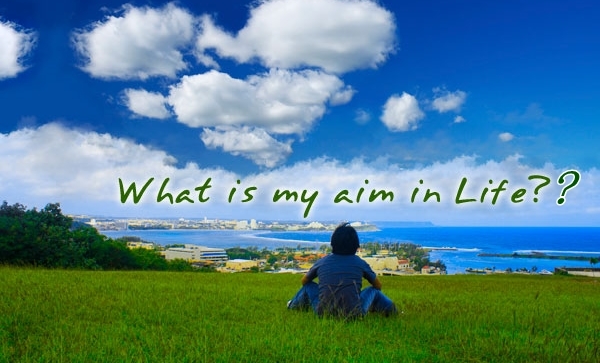 I have made my choice and now its your time to take a step ahead and set a aim for your life and then put-in your best efforts towards achieving that aim. I like this essay but I want a paragraph. It is OK because I will cut it. I liked this essay. I bless wrire essays like this and make us read that essays many more as possible.Thanks to u!